Where has this summer gone??? Seriously, I know I say this every August, but this particular summer seemed to fly by faster than most. Inevitably, my blog posts suffer in times like these. 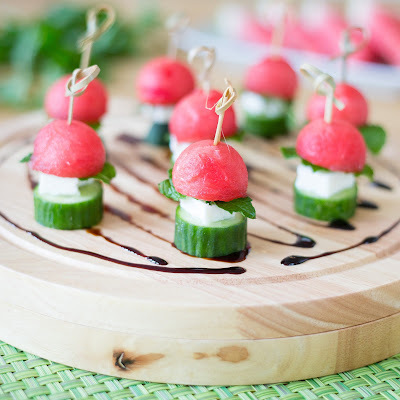 Take these little watermelon skewers for example. I made and photographed them over a week ago, and I'm just now getting around to posting. I'm choosing to hold onto these summer days as long as humanly possible because I know what comes next... the beautiful colors of fall, and then 6 months of miserable East Coast winter. These skewers are a perfect way to highlight the fresh flavors of the season and squeeze those last few drops of summer before it's gone. Mint and watermelon are the perfect pair, and I was lucky enough to receive this HUGE bounty of it from my friend Steph. I use my melon baller for a lot of different things, but here I'm actually using it for its intended purpose... cutting melons into adorable little bite sized pieces. 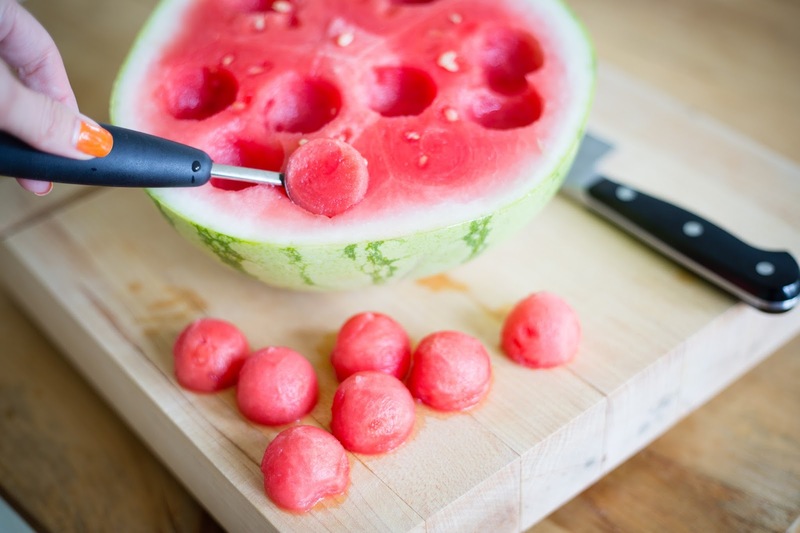 If you don't have one, you could just cube your watermelon. For the feta... make sure to buy a good quality block of feta (the kind they sell in the brine). Cut it right when you pull it out of the fridge so it stays together better. 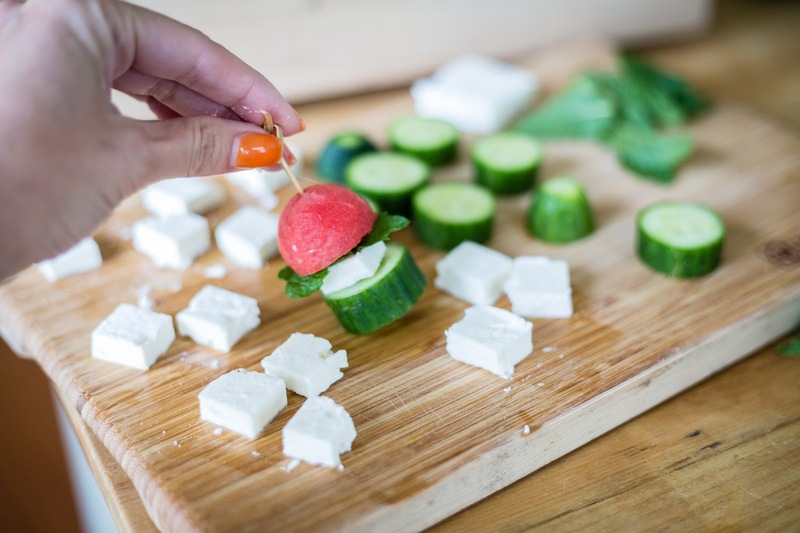 I also found you will have an easier time skewering if you place it on top of the cucumber slices before inserting the toothpick so it sandwiches between the watermelon and cucumber without breaking. These little bites could not be easier. And paired with a simple balsamic glaze... they will be gone far before summer says its goodbyes. Combine vinegar and sugar in a small saucepan. 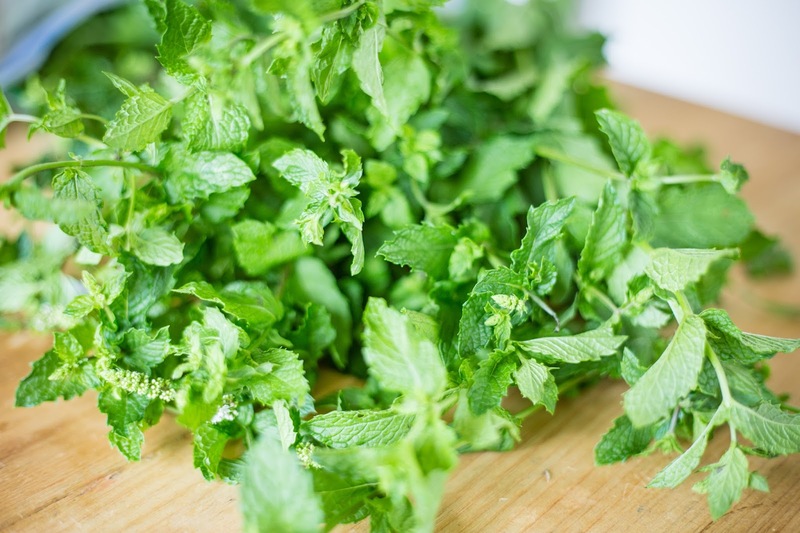 Bring to a boil, and reduce to low and simmer until mixture has reduced and reached a syrupy consistency (about 15-20 minutes). 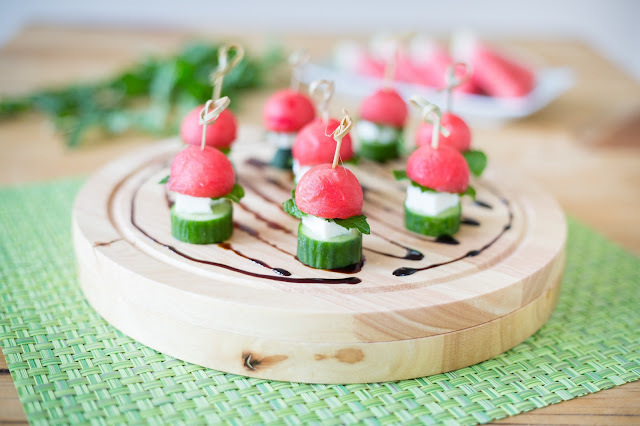 When ready to serve, thread everything onto the toothpicks, starting with the watermelon, then mint, then feta and cucumber. 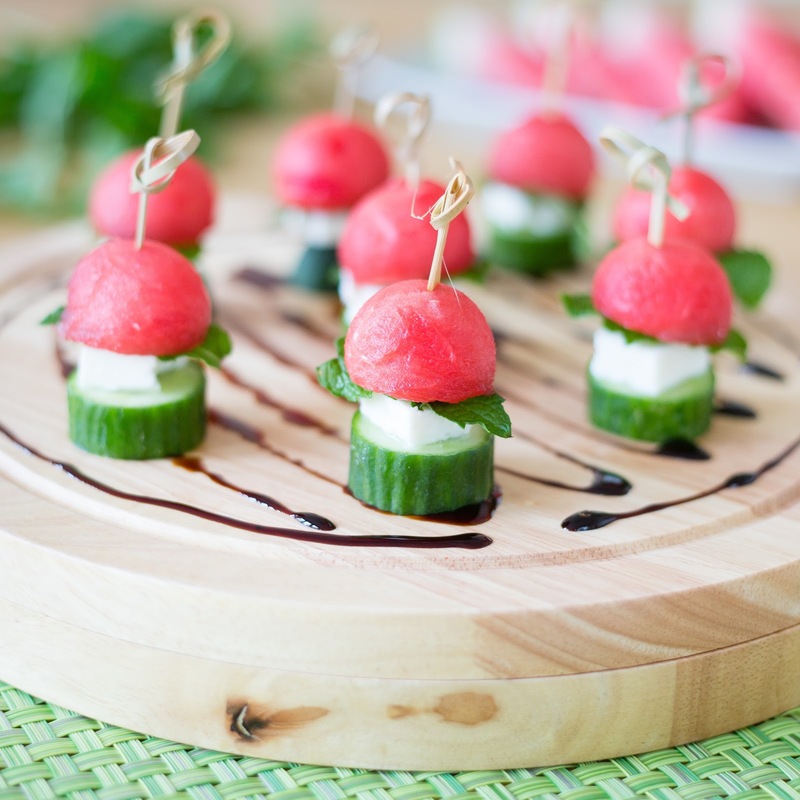 Drizzle platter with balsamic glaze and place skewers on top.